[Sharpshooter]This title is an unofficial, amateur translation. 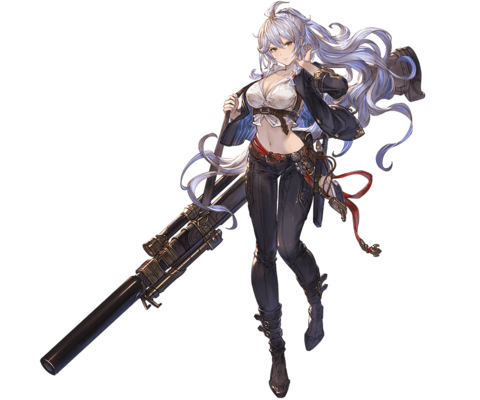 This sharpshooter, renowned throughout the skies, puts her finger on the trigger to protect her comrades. With every shot fired, the piercing cry of a sniper round is heard, etching her name in history. Strength: 70% chance of dealing 75% more damage. 3% boost to Light characters' critical hit damage cap. 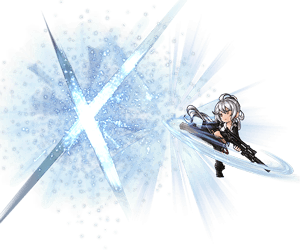 200% bonus Light damage to a foe upon the chain burst Ascension when Silva is a sub ally (Damage cap: ~600,000). Strength: 3,000 per debuff (Damage cap: 30,000) counts towards the total number of debuffs. Deals 400% Light damage using the ATK values of the switched-in ally after their normal attack finishes (Damage cap: 600,000). Automatically switches with the first available backline ally. activates off any normal attack. 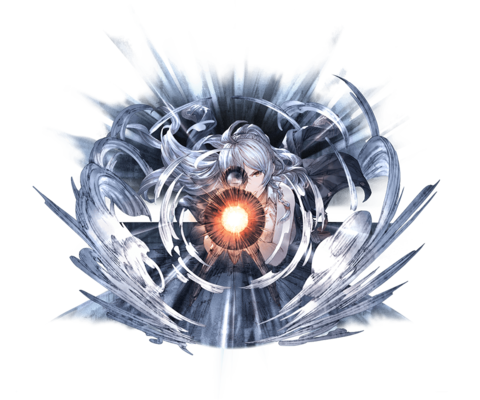 Skills that instantly performs a normal attack, such as Yngwie's Wild and ToughInstantly perform a normal attack without using up a turn., will activate Backup Fire. has naturally expired, Backup Fire will be removed from the ally. Ascension is the 4-chain Light-elemental chain burst. Bonus Light damage is based on the stats of the Main Character. This page was last modified on 10 March 2019, at 11:44.